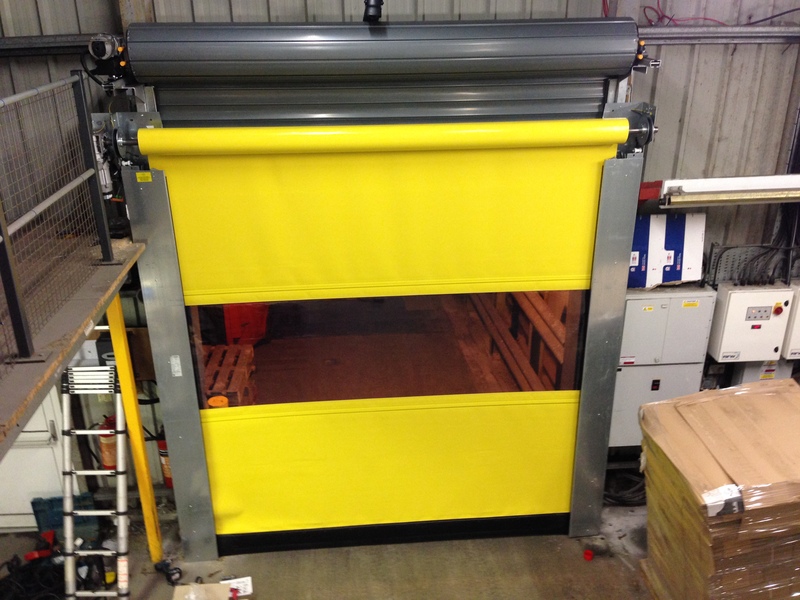 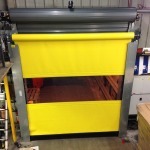 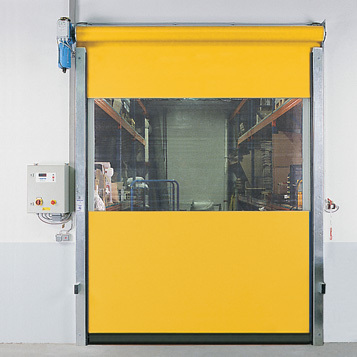 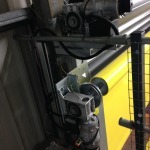 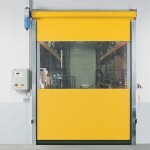 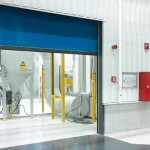 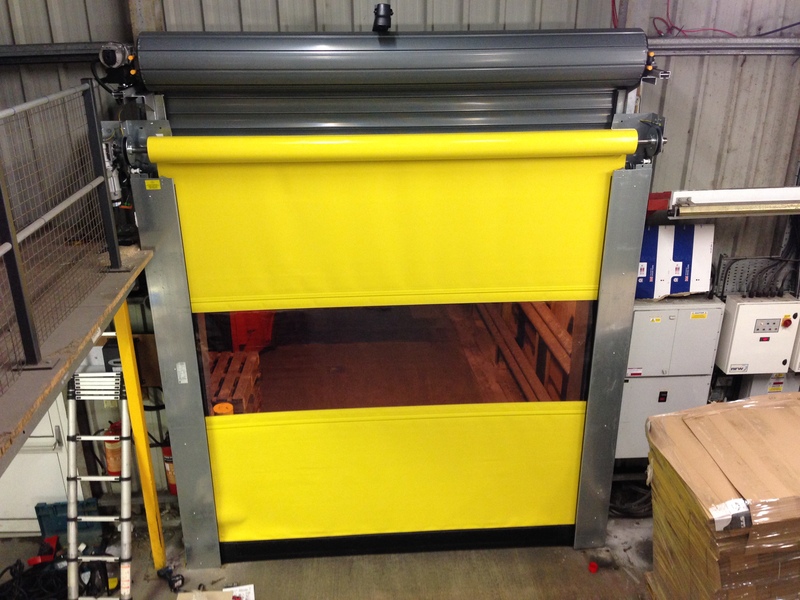 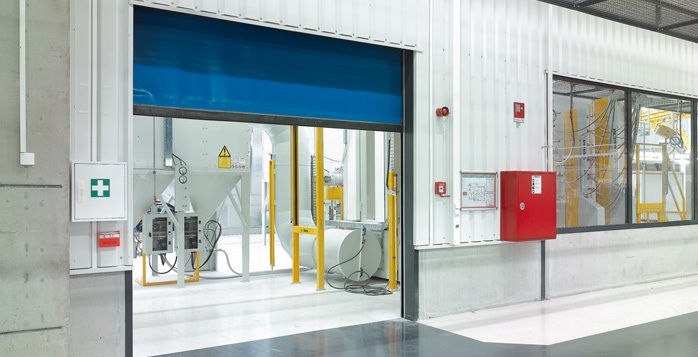 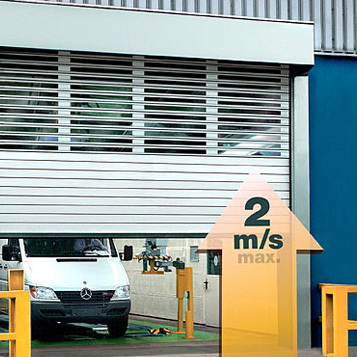 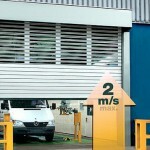 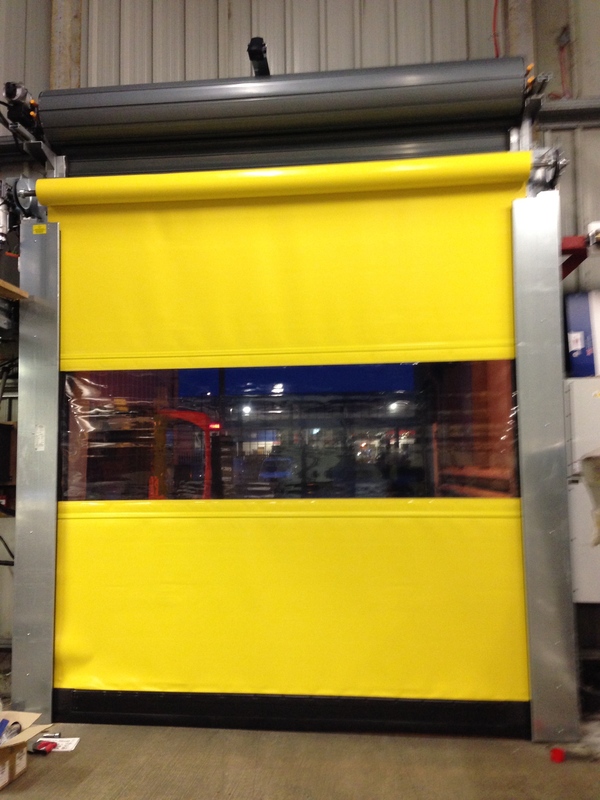 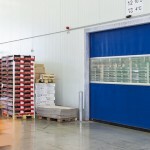 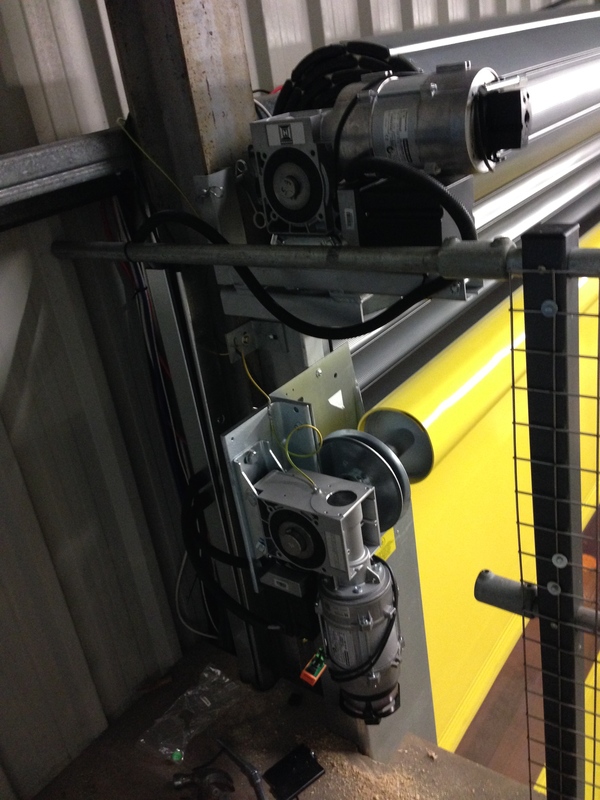 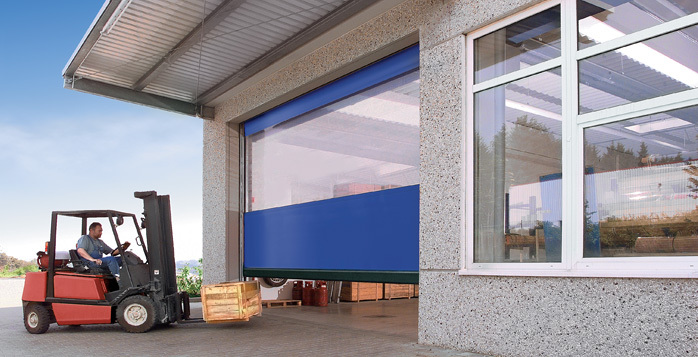 Hormann industrial high speed or fast action doors are very popular where traffic is high but doors need to remain closed most of the time. 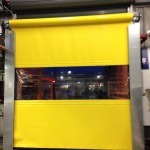 The curtains are made from a PVC available in several different colours and normally include a vision panel. 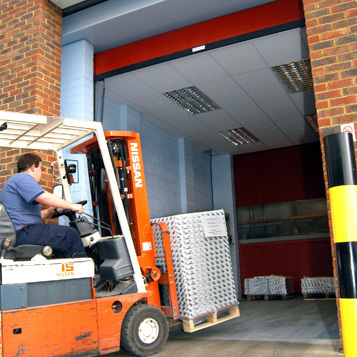 If the unfortunate was to happen and the door was hit by a forklift it will self repair and be back up and running within a few minutes! 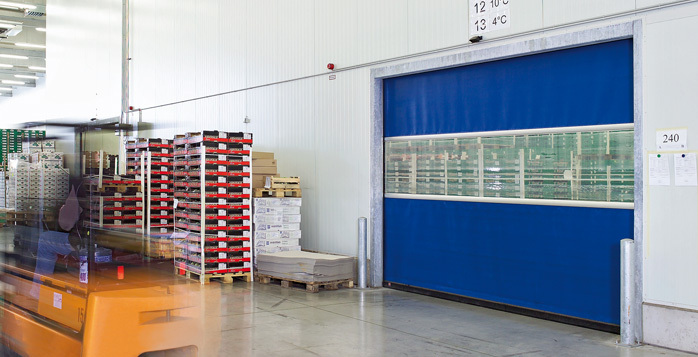 Hormann spiral doors are an external version of the above, instead of a PVC curtain the panels are solid giving insulation and security. 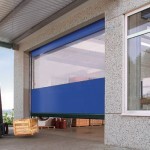 Fully glazed doors are also possible. 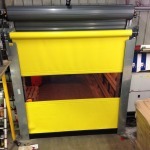 See our videos below of some Spiral doors recently installed by us in Collumpton!